Situated on the corner of Buitenkant and Bertus Streets in central Cape Town, the Distric t Six Museum is housed in a beautiful old church. The museum itself chronicles the stories of the forced removals after the institution of the Group Areas Act during Apartheid. The air in the building is thick with stories, and the museum is beautifully curated, a weaving together of the heart-breaking (and often vicious) tearing apart of families from the places they called home for generations. It’s not all sad, though. There are triumphant stories, stories of love and, most tangibly, tales of a community spirit that was (and is) so strong that no amount of political evil could break it up. Tucked cosily just behind (and through) the museum, is the museum café, recently taken over by Janine Adams (previously of Bread, Milk & Honey in Spin Street) and Kelly Smith. Don’t miss the passage filled with embroidered recipes of traditional Cape Malay dishes on your way through. 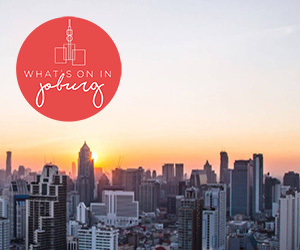 The café launched its new menu recently with a little shindig on a Thursday that had wafts of warm air announcing the imminent spring in the Mother City. That seemed apt as the café blossoms under its new ownership. The inimitable Alvin Dyers played guitar while Joe Schaffers (who is also one of the museums story-teller/guides) crooned – a perfect soundtrack to a memorable evening. This is a place of story-telling, so Exhibitions Manager Tina Smith’s tale of the original yellow Formica table that was the beginning of the sharing of food in this space was perfect. It sounds like the original café mistress, the late Menisha Collins, was a real character, providing a menu of “laughter, stories and dreams”. As Tina said, had Menisha seen the café in its new outfit, she’d have proclaimed it “Kwaai”. I agree. We were treated to little tasting bowls of the delights offered at the café (and as catering for functions). It’s soul food, like Mom makes – healthy soup, fragrant bobotie, tasty tomato bredie, spicy chicken curry, and plenty of options for vegetarians. The butternut, chickpea and cauliflower vegetable curry was a delight. Pudding was a melt-in-the-mouth malva with custard and cream that you’d sell your soul for. It’s not just about food, though. This place has a spirit, a community-vibe, a warmth. As Janine said quietly, “It’s like coming home to sacred ground.” And that’s exactly how they’ve made it feel for their patrons too. 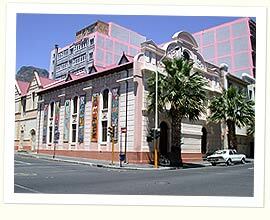 The District Six Museum Café is open Monday to Saturday, from 9 am to 4 pm. They offer sandwiches and wraps (including a bobotie one! ), a daily Cape dish (think curry, stew and bredie), and a variety of pastries and cakes. Oh, and there’s free wi-fi.